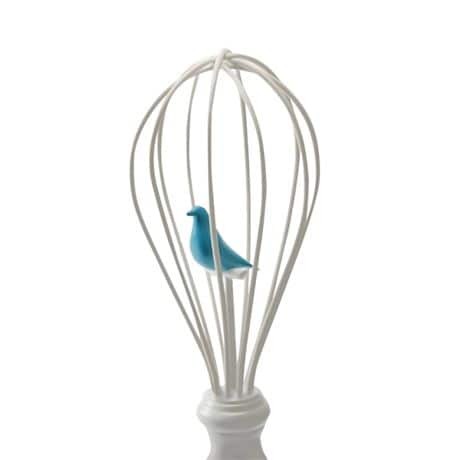 A cute bird perches in the middle of a whisk's birdcage-like wires, adding a bright spot to your countertop. 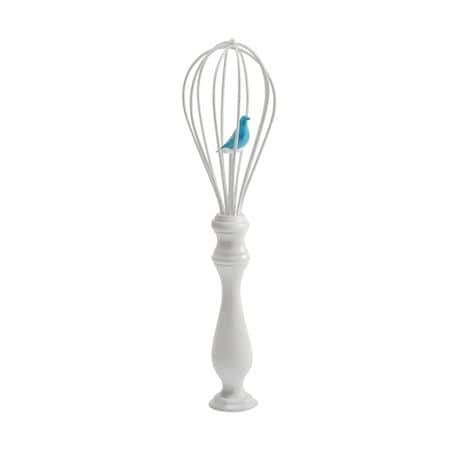 And it actually helps your cooking, creating fluffier pancakes or scrambled eggs as the bird helps beat extra air into the mix. Dishwasher safe. Stainless steel and silicone. Imported. 10"x 2¾".